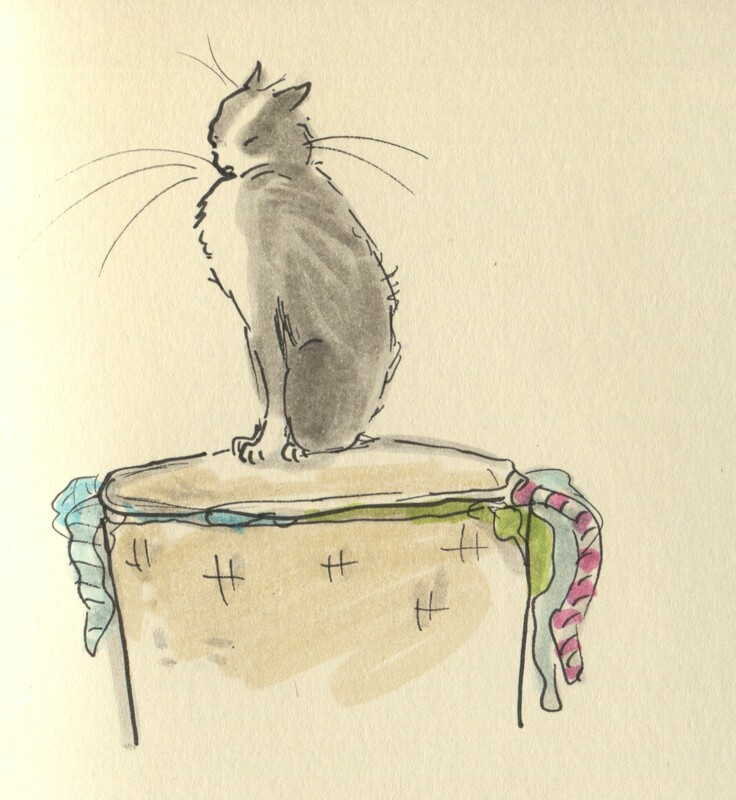 Posted on November 14, 2013, in Uncategorized and tagged cats, Doodlemum, Drawing, Family, Humour, Illustration, Life, Pen and Ink, Sketchbook. Bookmark the permalink. 11 Comments. The trouble with a day off is twice as much work the following day, and the inhabitants run out of stripey socks. I don’t usually agree with cats, but this time, Arnie’s right! I’m assuming that he’s going to do all the washing for you? !